Highway accidents involving trucks and commercial vehicles can quickly become complex, particularly when one party has been significantly injured and when ICBC becomes involved in the claim. It is important to know that by connecting with a lawyer early, you can make certain that your rights are fully protected. Choosing the right lawyer to handle your legal matters is important, and you can feel confident knowing you’ve chosen to work with our team. We are the lawyers at Epstein Law, and we represent individuals throughout the Greater Vancouver area in personal injury claims, ICBC cases and all other types of motor vehicle accident claims. 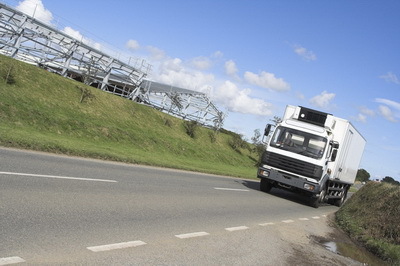 Nearly all truck accident claims involve issues with liability. Since the ICBC insures both parties, it will examine both sides of the situation to determine who is at fault. ICBC may strive to make an assessment as quickly as possible, so seeking representation from a lawyer as early as possible is important. A lawyer will protect your interests. ICBC might not have your best interests in mind. It will use your medical records (once the authorization form is signed). Our job is to make certain that your rights are protected. Nothing should be used against you to prevent you from getting the necessary medical treatment to recover from your injuries. ICBC will usually want you to settle your case early, before you have recovered. It knows that if you settle early ICBC most likely will not have to pay you the maximum amount of compensation you are entitled. It also knows that if you retain a lawyer it is more likely ICBC will have to pay up to 10 times more to you for your injuries. Do not settle early: your injuries might become worse, you might get into another accident which makes your injuries worse, you might lose work because of your injuries, and you are most likely settling for much less than you are entitled. If you need money, we will help finance you until you get up on your feet and receive the settlement you are entitled. It is pertinent you wait to sign authorization forms until you have discussed your rights with a lawyer. By signing papers, you give ICBC the right to investigate the accident. ICBC might not have your best interests at heart. A Vancouver truck accident lawyer at our firm will provide an objective opinion of your particular situation. Led by Mark Epstein, a lawyer with more than 20 years of legal experience, our law firm has the skills, resources and in-depth understanding of the law to effectively handle even the most complex ICBC claim. We understand what questions to ask and how to investigate for evidence, and we can get our clients to qualified medical professionals in a timely manner. We welcome the opportunity to speak with you regarding your accident claim. To schedule a free initial consultation, please contact us at 604-685-4321. Home and off-site appointments are available by request.